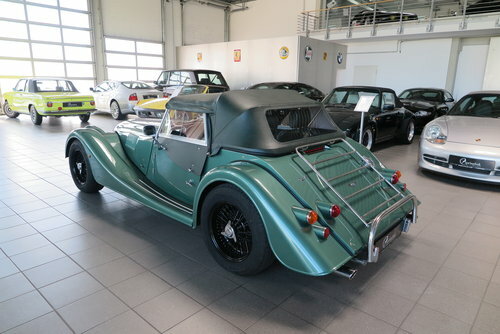 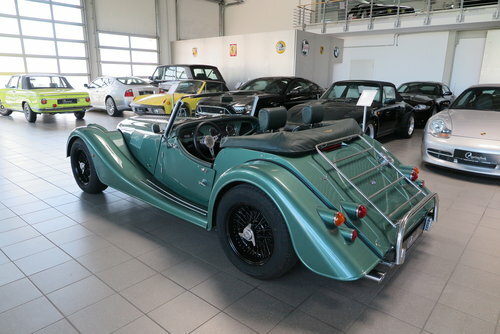 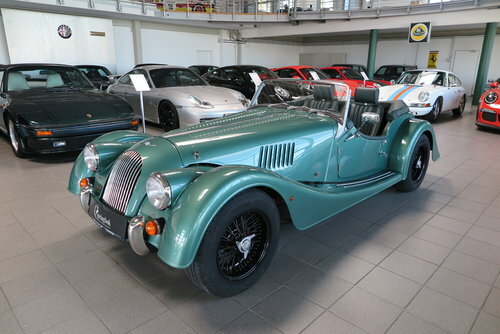 This Morgan Roadster 3.7L V6 with 6-speed manual gearbox comes in a very nice attractive colour combination of Aston Martin almond green metallic with ocean green leather interior and a green soft top. 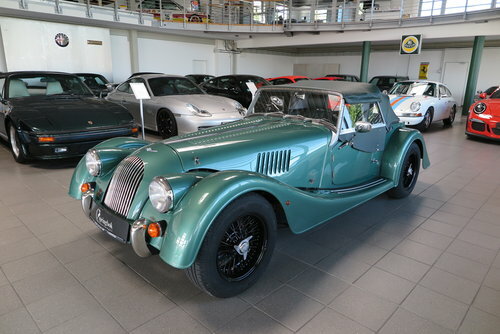 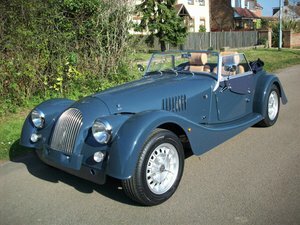 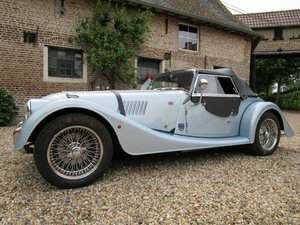 With only 28,900 km the Morgan Roadster is in nearly new car condition both inside and out. 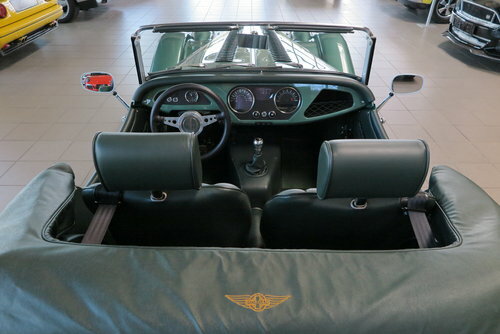 The vehicle comes with pocket window including bag, cover, cockpit cover for the open vehicle, the tool kit (Bleihammer) and the document pouch including the user’s manual and service booklet. 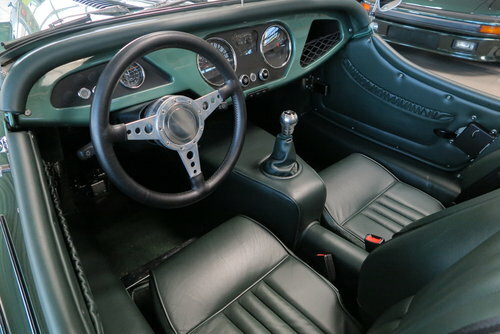 The Certificate of Conformity is present. 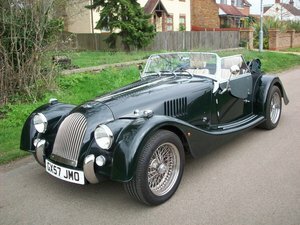 Please contact us if you require any further information or have any questions!